A moderately physically demanding trek, crossing the Andes through the Cochamo Valley. 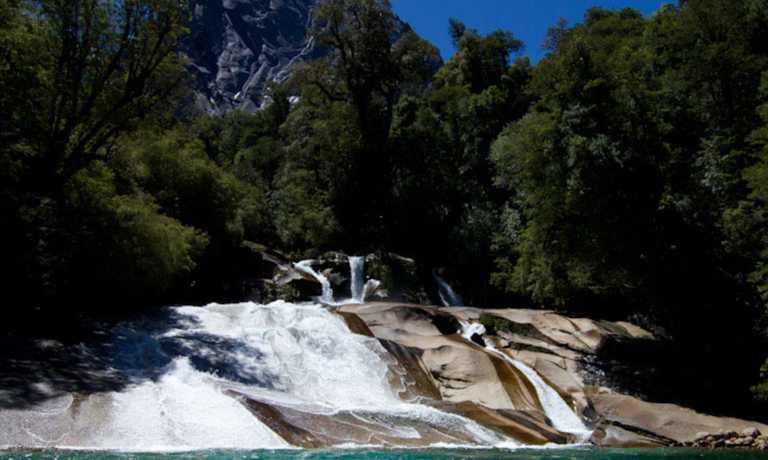 See some of the lesser known parts of the Chilean Lake districts trekking a deep area of total beauty in seclusion. With most nights spent camping, be prepared to be close to nature. Reception at Bariloche airport and transfer to hostel. Have a meeting with our guide about travel plan and checking of equipment. Transfer from Bariloche to Paso Leon (3 hrs.). After immigration procedures, we start our Chilean trekking. This is an intense day bordering the Manso river all the time up to Torrentoso, a place where the rivers Torrentoso and Manso meet. Totally inserted in the Selva Valdiviana, we continue our circuit heading northwards to Lake Vidal Gomez (2 hrs. aprox.). Once at the southern point of the lake, we border it along the western shore up to the northern point, where we spend our second night. The day starts with incredible green pampas between mountains, but soon the unevenness begins with really steep places up to a small lake without a name, where we have lunch. From that point, it is all descent to El Arco, where we sleep. El Arco is the name of a rocky formation where a waterfall descends under it, and very near is the possibility of visiting a forest of very old larches. Accommodation: Night in tents, wild camp. This day we will reach, after crossing many rivers, one of the most impressive places of the trip, the Valle del Rio Cochamo. The way is always in the forest, and the wading of the last river, if the weather is rainy, is really difficult. Our camp is surrounded by granite walls 1.000 meters long, a true paradise. This day we will walk without weight in our backpacks, because we will return to sleep at the same place. The aim is to climb Cerro Arcoiris, a privileged viewpoint of all the valley with its incredible walls. On our way, we will go by stretches of steep slopes in which in some we will use fixed ropes to help in our ascent. We say goodbye to the Valle de Cochamo to complete our crossing of the Andes and reach the waters of the Pacific Ocean. We start a walk of 4 hrs. along a very closed in, but very nice trail, crossing several wooden bridges, up to a place called El Moro, where a vehicle awaits us. End of trekking. After about 5 kms. 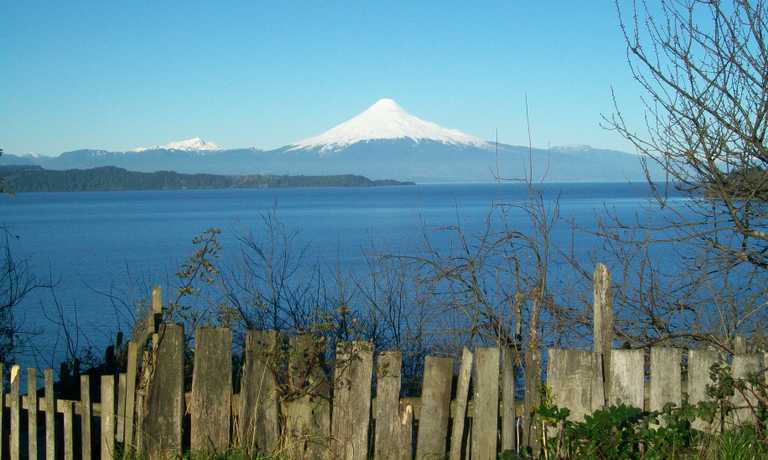 we will arrive at Pueblo de Cochamo where we can have lunch in front of Seno de Reconcavi, to later continue by vehicle to our destination, the town of Puerto Varas on the shore of LLanquihue Lake, a really pleasant place with beautiful views of Osorno Volcano. During the morning we will take a regular bus back to Argentina (6 hours). 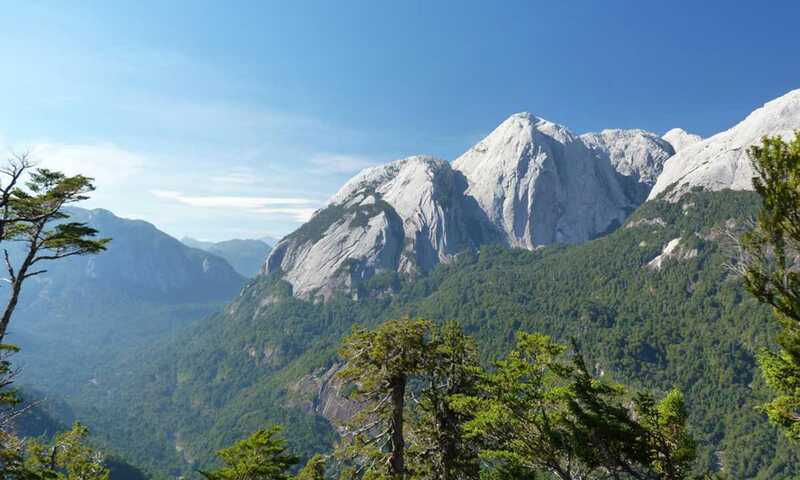 We will cross the border at Paso Samore with very nice views, then, after going through Villa La Angostura arrive at our final destination, San Carlos de Bariloche. This trip can run as a group trip, with prices starting from $2,880 per person for a complete group. If you are looking to join a group or you are a solo traveller we will help to form likeminded groups of travellers. Please let us know your travel plans.